2 Chinese Daos – Prefer fancy moves and combinations. These weapons satisfy the above requirement but are a bit short, heavy, and difficult to use. Inferior in speed and range are great elements to push this lazy bone to training. Psychology, Social Science, Medical Science, Modeling, Drawing, Console Gaming, Photographing, listening to Blues Music, Playing Blues Guitar & Harmonica, Taikoo Drumming, Watching Anime & Japanese Comics, Cosplaying, Playing with Cats & Kittens. Born in a normal Hong Kong family at late 70s, lived a normal life for over 20 years. Life was so bored and routine that soon addicted to adventuring, exploring, and risk taking. 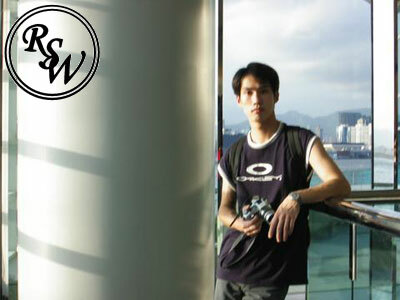 With an open mind, will to try and skills of a craftsman, became one of the founders of Realistic Sparring Weapons, also the founder of the first Men's website in Hong Kong. Currently interested in human mind and behavior, will develop own career in counseling and social work.